At 6.55am on Friday myself and my 2 clients arrive at the locked Thorpe lea gates the weather was mild and blowing a South Westerly. The bailiff opened the gates at 7am and we drive into the car park. We look at the map of the lake in the hut and find out only 5 anglers fished last night. I asked to have a walk around to find some fish but you have to pick a swim before anything else happens. I picked the corner where the wind is blowing into it just so happened it is the furthest walk. We arrive in the swims and after looking at what water we had I decided to look at the next 3 swims down to our right, as if the lake got busy we would have had people fishing into our water making it less likely the fish would stay there. 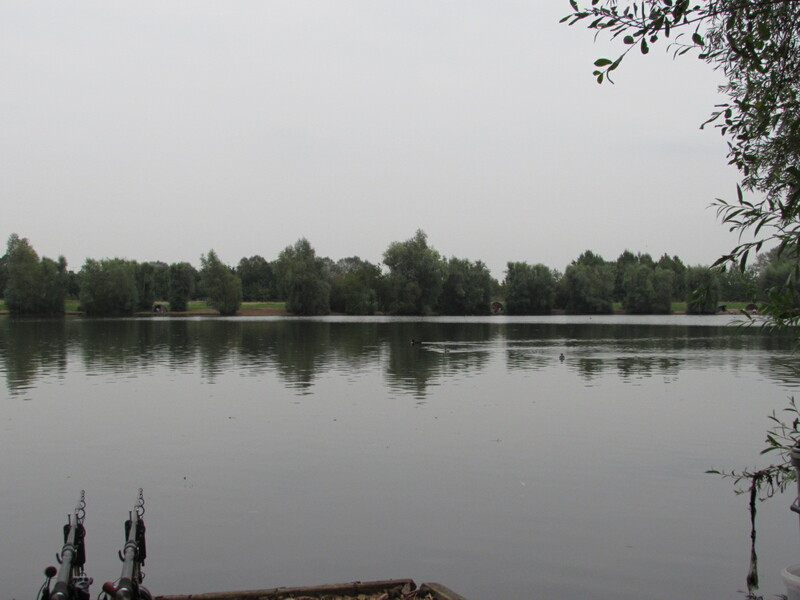 The next 3 swims down looked much better as no one else could cast into our area and I saw some carp crashing, I let the guys pick their own swims based on their angling abilities. It just so happened that I was fishing in the middle swim with open water. They both had islands to fish up against with 1 rod and the other would be in open water. First thing I wanted to get done was the casting they wanted to improve on as we had 48hrs to fish. So if we pushed the carp out for a while I knew once the lake started to fill up with other anglers they would move back into our area. An hour or so of improving accuracy and distance we went about to find some holes in the weed and gravel spots. 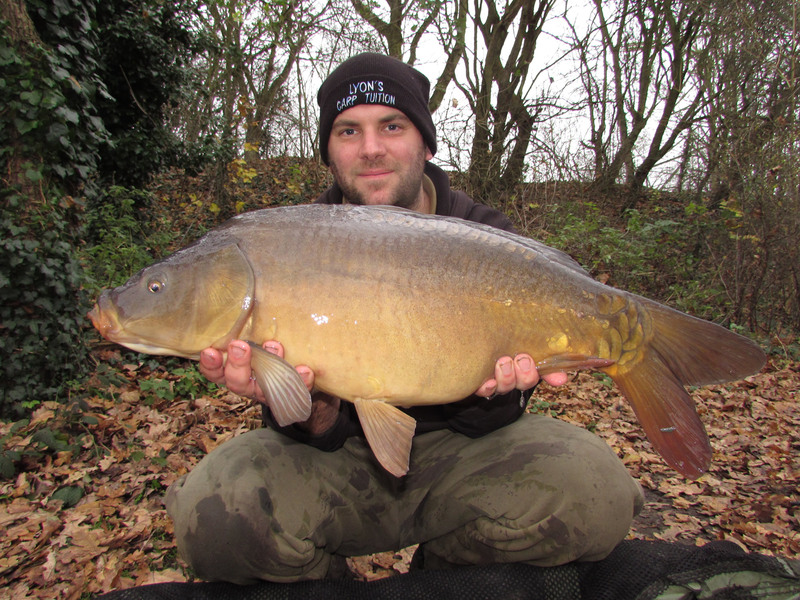 The fishing and spod rods were clipped up to the spots using the cygnet distance sticks. Once the rods were in place 6 spods went out over each rod. 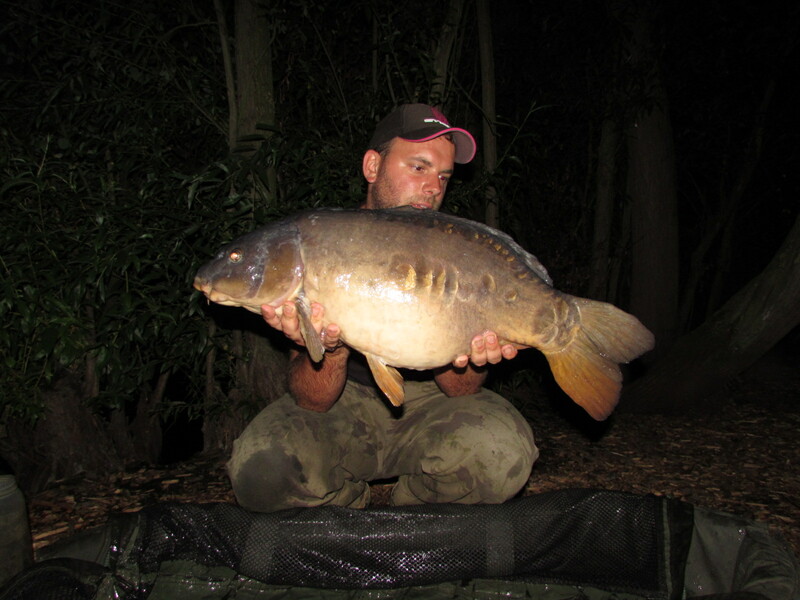 The spod mix consisted of hemp, party mix, krill boilies whole and crushed and krill liquid, this was all mixed together the night before so the boilies would soak up the hemp and krill liquid. We were all fishing at different ranges depending on tackle and ability. I was fishing at 109 yards and the others 85 and 65 yards. 90 mins went by and one of the rods was away after a scrappy fight the fish was landed and a lovely mid double mirror was photographed and put back. 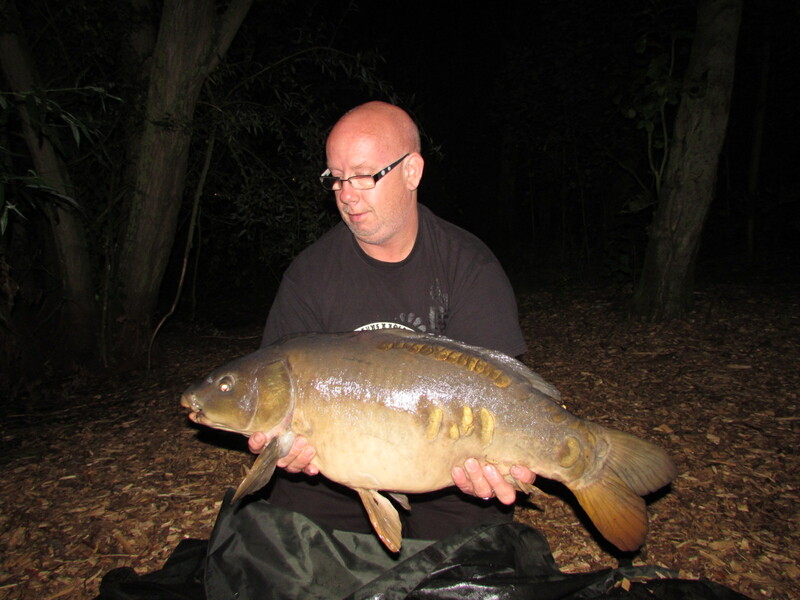 During our stay at Thorpe lea we managed to bag 15 carp upto 22lb with the smallest at 14lb all fish caught were mirrors. After chatting to the bailiff after our session we found out that the lake was still fishing hard and people were either catching the odd 1 or 2 or not catching them at all so this was definitely a good result for us. Here are few pics of some of the fish we caught from here. My next instalment will be about 2 4hr sessions over a club water. 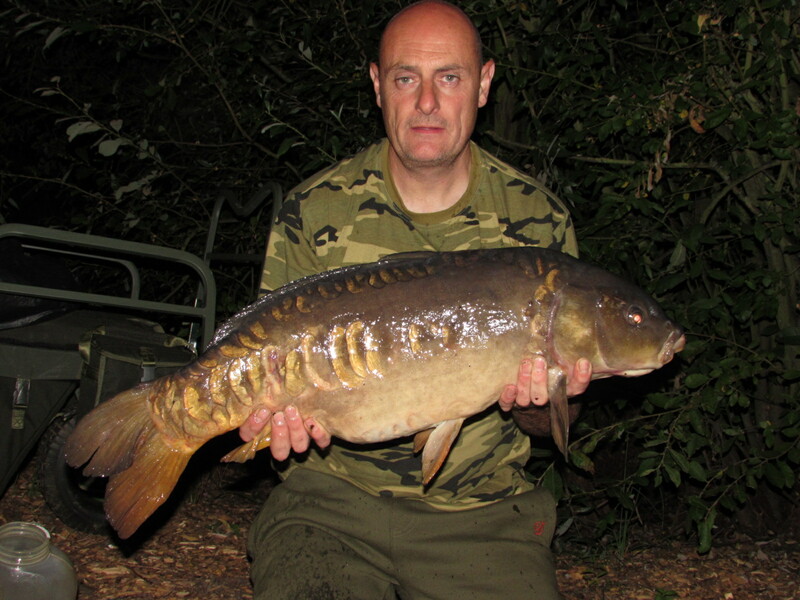 Which I managed to land 8 carp upto 21.12 over the 2 mornings. A few little edges will be let out of the bag also. Stay tuned! !